Meet our new Vice President! …and I’m thrilled to announce that it is Adam Brayford! 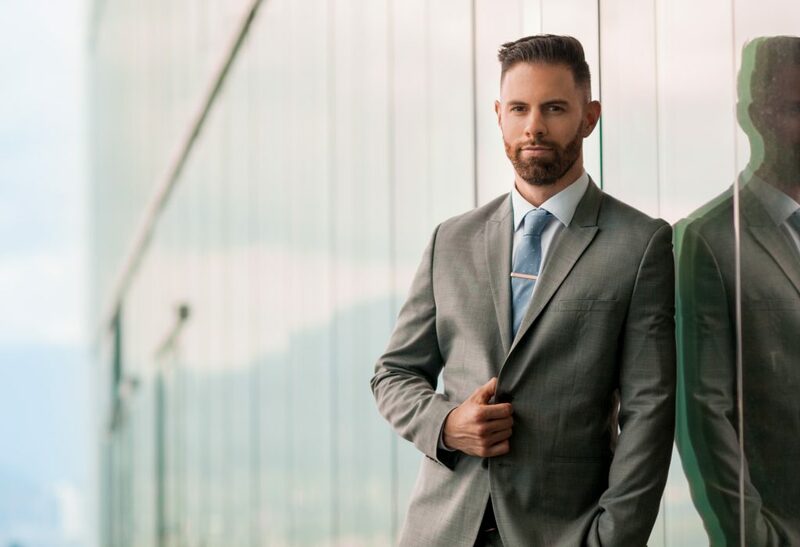 Adam, currently Director of Student Experience Communications at Simon Fraser University (SFU) is a longtime IABC/BC member, former board member and a strategic award-winning digital communicator. By saying yes to the VP role, he will automatically assume the role of president for the 2019-2020 term, and past president for 2020-2021. I can’t think of anyone better to lead our chapter with me than Adam. He will be a fantastic President. Adam has been a member of IABC/BC for over 10 years and has been a very active member during this time. He has volunteered for our chapter in a variety of ways over the years including two board roles as Director, Marketing + Communications and Director, Student Services. He has also served on multiple judging panels for IABC award programs, event committees and as a speaker at local chapter events, as well as events run by other organizations. He has also won several IABC Awards including multiple Gold/Bronze Quill, the long beach Wave Award (2017), and a Chapter Management Award (Excellence level). I decided to ask him a few quick-fire questions so that you can all get to know him a little better (if you don’t already). How did you first get involved with IABC/BC? I blame Brandy Delves and the Wah sisters. It’s really all their fault. Among the three of them, they convinced me I’d find a home in IABC and that I could contribute to it at the board level. They were right, I suppose! The rest is history. I volunteered with the Student Services committee back in the day, then went on to lead it. After that, I transitioned on to co-directing Marketing and Communications for the chapter. I’ve enjoyed a number of opportunities to volunteer and have a blast doing it with many other members since, which has kept me engaged and entertained. What do you think makes IABC/BC special? Not only are we one of the largest IABC chapters in the world, but we are awash in excellence! We have CMPs, ABCs, Gold Quill, Silver Leaf and Wave and Chapter Management Award winners… and a Fellow! But beyond all that, this community is overwhelmingly supportive and warm if you get to know it. Take a chance and try out a volunteer role– that’s how you’ll connect with and quickly get to know your peers. Friends of mine who aren’t in communications never understand how I can have so much fun with colleagues in my profession. After more than 10 years in IABC/BC, that’s just a no-brainer for me. What made you say yes to the presidency track? Look, I’m doing a lot of listening right now! I’ve got pages and pages of ideas that I’ve heard from members, and the list is only growing. At the end of the day, working with our many volunteers, I hope to leave the chapter in a place of strength, where members feel that the decisions we’re making reflect what they’re looking for from their chapter. Meeting and working with new communicators. Already, in re-joining the board, I’ve been introduced to new friends and that’s what keeps everything exciting and fresh. I’m also excited to follow incoming President Gemma Lawrence who has a dynamic energy and who promises that our board meetings will always have chocolate (it’s been published now Gemma, so now it has to happen!) In all seriousness, I’m quite grateful that Gemma encouraged me to rise to the occasion, as the process has already been so rewarding. I feel very lucky! You can also connect with Adam on Twitter @adambrayford and LinkedIn to share your congratulations, and learn more. With this vice president appointment, we are now recruiting for a student + new communicator services director. We are looking for a strategic, collaborative and enthusiastic individual who can help us to attract and engage students in our community using a variety of tactics and initiatives. If you are passionate about IABC/BC and are interested in helping us grow our chapter then please contact me at vicepresident@iabc.bc.ca for more information. This position will remain open until filled.